Creating a more prosperous future for our city. 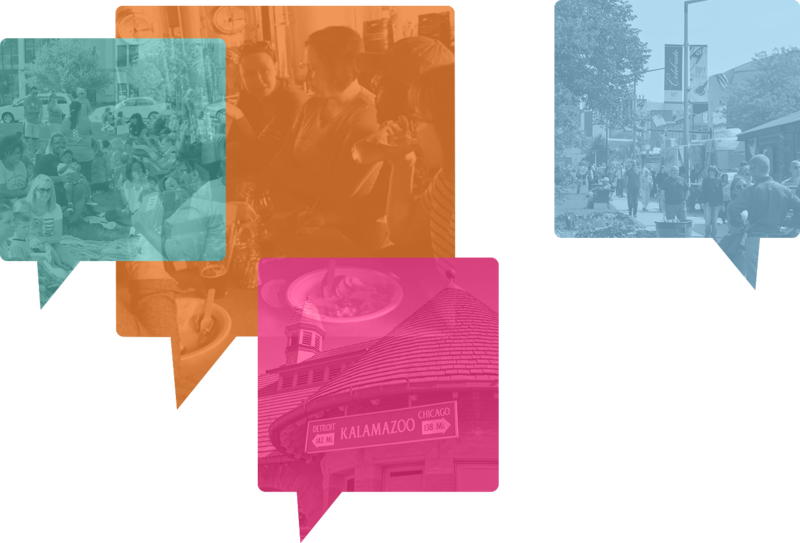 Imagine Kalamazoo 2025 (IK2025) is all about engagement: engagement with citizens, community groups, businesses, developers, investors, philanthropists, government and YOU. We’re imagining a vision for Kalamazoo’s future – discussing it, planning it, designing it, and acting on it. We want your input. The Community Planning and Development Office seeks to connect people, priorities and government policies into a formalized, long term strategy. We call it a "Strategic Vision" but at its most simple it is this: you provide input and we organize it, formalize it and, ultimately, act on it. How will this Strategic Vision be achieved? The entire process is broken down into phases. Over the course of 18 months, we'll progress through the phases of Imagination, Planning, Design, Discussion and Adoption. Each phase does have a specific focus, but your feedback is critical throughout all phases. The responsibilities of the city are wide-reaching: utilities, transportation, land use, housing, policy, regulation, and more. The "dots" don't always connect, as each group works to meet its own obligations with its own resources and goals. A strategic vision - common priorities, resources, goals and stories - provides the framework to connect those dots, to align and evaluate our policies and actions, and to make the most of our resources. Be part of creating Kalamazoo’s future.